MilesWeb team will help you to get your Mambo website online in no time. Our best Mambo hosting packages comes with preconfigured Apache, PHP, MySQL and other required components. 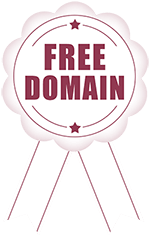 Every client gets a free private SSL certificate for the Mambo website with the option to add dedicated IP at an additional cost. Our shared hosting servers in India, UK and US are 100% optimized for running Mambo websites. Now all you have to do is login and setup your Mambo Website. Why Choose MilesWeb's Mambo Hosting Service? You don’t have to worry about any technical aspect if you wish to start a Mambo website or portal. We are there with you and we will provide you with comprehensive support whenever required for getting your website/portal live. Mambo is completely free to install and you can install it as many times as you wish, at no additional cost. MilesWeb provides you with your desired hosting package with free Mambo installation. Worried about the data migration in changing Mambo hosts? No problem — We’ll take complete responsibility of migrating your Mambo website from your existing provider, remove bugs and optimize your site for the best and fast performance from day 1. Mambo is a spectacular content management system that is used for creating, managing and sharing content. It can be utilized for a wide range of websites starting from a simple blog to a complex corporate website. Mambo has quickly managed to earn a large number of followers as a result of its user-friendly interface and award winning software. MilesWeb is among the most trusted companies offering Mambo hosting. The best hosting resources are offered along with complete security. Can I customize my Mambo website? Mambo is a perfectly manageable content management system that can be customized according to your website requirements as an easy to use administrative control panel is offered. Is it necessary for me to have technical knowledge for using Mambo? You don’t need any technical knowledge for using Mambo. Mambo is one of those efficient content management systems that provides with a user-friendly interface. Moreover, MilesWeb provides you with complete support for getting your Mambo website up and running. How is the Mambo hosting platform beneficial to me? Mambo provides with the widest range of free, impressive and premium templates that can be easily incorporated with your website. Mambo also provides with various world class themes that can be downloaded online. In short, Mambo provides you with the complete framew2ork for creating a good looking and an efficient website. How do I install Mambo? Mambo can be installed within just a few clicks for any of the web hosting packages. As Mambo is an open source software, it can be easily installed through control panels like cPanel/WHM and Plesk. Setup a Blazing Fast Mambo Blog , Plans at just $1.11/mo.